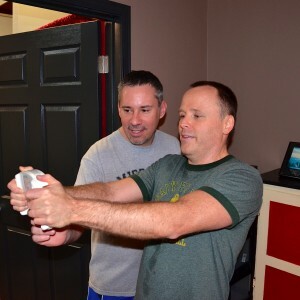 We put the personal touch in Personal Fitness Training! Finding success and reaching your goals is never easy when it comes to fitness. 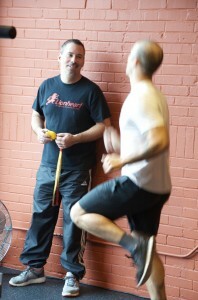 Let our team of experts build a personalized training program to suit our needs and personal goals. Regardless if you are slimming down for an event or whether you wish to decrease body fat, or body build, or even cross condition…these sessions are perfect for you! Lionheart Personal Training can build the body you want and deserve. Diet is as important as working out, and our trainers will design you a program that gets down to the calorie, if necessary, and update it as your body changes to ensure you keep seeing progress. WE ONLY SUCCEED WHEN YOU SUCCEED! This includes: a complete nutrition program design, meal plans, grocery list, and our nutritional guide to help re-educate you on supportive eating to help you achieve your results. Why is nutrition important to my success? We cover a lot of information on nutrition in our programs, because eating to fuel the body (and your metabolism) is the greatest secret to achieving maximum results from your fitness program. In fact, several of our clients had already been working out consistently for years with little to no results before they hired us. By simply changing their nutrition program- serious results came fast. If you’ve been slaving away at a fitness program and have not seen dramatic results from your efforts- we can help by focusing on the nutritional component in working with you. Individual programs are then developed to meet your individual fitness goals, whether you are a private client or in a small Semi-Private Group. Let us develop the perfect training program to suit your individual goals. Remember…this is all about you!